Torsten is from Denmark and has lately served as CEO of the King´s Kurry Group and talks Dänish (Skandinavish), German and English. He is one of the co-founders and vice-president of The Morning Star Foundation and has been managing international organisations on toplevel. 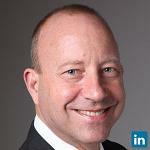 Torstens skills in sales and international experience has led him to his current position as Sales Director of CATSys. 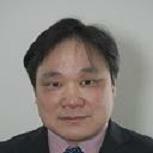 Waihung is an engineer by trade and has more than 20 years experience in scientific and industrial consultants. He was born and raise in Hong Kong, and educated in the US where he got his Ph.D. from Purdue University. 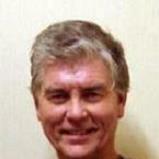 His professional expertise is in risk assessment and quality assurance of the plant design and operation. In the mean time, he is also helping the machine trading business founded by his late father in Hong Kong. but the idea of managing the risks and ensuring the quality of the investment do share some commonalities. the investment branch of the Morning Star Foundation. American citizen who is married with two daughters, speaks English, German and is working on Swiss German. Werner has worked in the IT industry since 1978 mostly for large banks. He developed many critical systems and held hundreds of DB2 and programming classes in Europe. He is a frequent speaker at the International DB2 user group (IDUG). In 2013 he founded the Morning Star Foundation in Basel, the owner of CATSys.